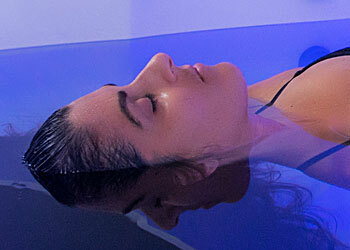 During a float you are suspended effortlessly in a super saturated solution of epsom salt and water within a light and sound controlled environment that reduces sensory stimulation and effectively suspends the effects of gravity on the central nervous system. The water is at skin temperature and after a few minutes you lose the awareness of where the body ends and the water begins. Resting in this unique environment creates profound changes within the mind/body system and actually improves the overall function of the brain and central nervous system. After your first float you may think it seems like magic but it’s actually backed by over thirty years of mainstream scientific research in human performance. You won't be fighting gravity. 1200lbs of epsom salt in the water takes of that while you like effortlessly on your back. For the next 60 minutes the outside world is gone and this is when all the amazing things happen. Your mind is free to disconnect. Your brain pumps out dopamine and endorphins and your body rests, de-stresses and heals. The water and air are matched to your outer body temperature. This means you lose track of where your body ends and where the water begins. Our rooms and pods are designed to eliminated outside noise and light allowing you to relax. Light switches are available for both the room and the pod to control your level of darkness. Why do Urban Float customers become floatation fanatics? Why does the industry continue to surge? Why does this concept continue to experience exceptional year-over-year growth? It’s because the benefits of floating are vast. Don’t take our word for it. 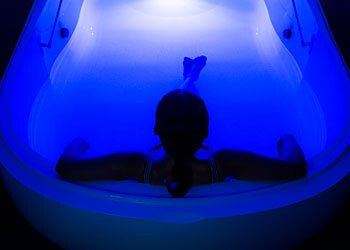 At Urban Float we rely on the science of floatation therapy. Recently published & peer-reviewed studies have proven why floating can have lasting physical, mental and emotional benefits. Our goal at Urban Float is to be the best.  We know that you can’t just rely on the technology or the product to ensure you have life-long, loyal customers. To archive the ultimate overall experience, this requires precision in customer-service and in creating the perfect environment. Learn more about the Urban Float experience in this video and see for yourself how Urban Float has raised the bar in floating.